The current generation of consoles has its mascots: Nintendo has Mario, Microsoft has Master Chief and, well, I suppose PlayStation has Sackboy from Little Big Planet. In an alternate reality where all these companies had dedicated theme parks, these mascots would sell the experience. Children would pose for pictures with them in front of rides. The Nintendo theme park would probably the easiest to visualize. Yoshi would be there flanked by Peach Princess. I bet there would be some kind of rolling ball Metroid ride. The PlayStation theme park would be dominated by the huge roller coaster dedicated to Kratos and God of War. There would also be a deserted section of the park inspired by Crash Bandicoot. The park would cost almost double the ticket price of other two and would have half the rides. The PC Gaming theme park would have plenty of rides, but who would the mascots be? Poker Night at the Inventory makes some solid suggestions. Poker Night, developed by Telltale Games and distributed by Valve Corporation via Steam, brings four iconic characters together at the poker table: Max from the Sam & Max series of games, Strong Bad from the Homestar Runner videos, Tycho from Penny Arcade and the Heavy of Team Fortress 2. 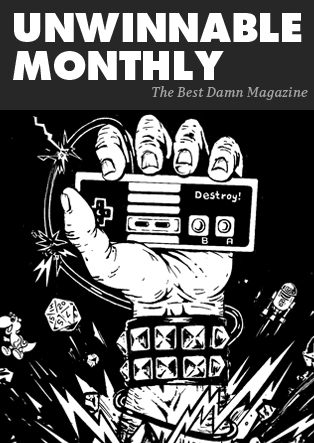 They all boast strong, organic roots in the PC gaming community. Max from the Sam & Max series debuted on the PC back in 1993. Originally comic book by Steve Purcell, Sam & Max were featured in most of the early Lucas Arts catalogs until they finally got their own videogame, Sam & Max Hit the Road. There was even a short-lived Sam & Max cartoon that appeared on Fox Kids. The franchise almost faded into obscurity, until Telltale Games got the rights to the series and began to make episodic content for PC download. HomestarRunner was first on the internet in early 2000. The brainchild of Mike Chapman and Craig Zobel, Homestar Runner was originally created with Super Nintendo’s Mario Paint before the creators experimented with Flash animation. While Homestar Runner was the main character, his nemesis Strong Bad came to the forefront of computer culture through the popularity of his regular feature Strong Bad Emails. Mike Krahulik and Jerry Holkins started Penny Arcade back in 1998. Tycho Erasmus Brahe is the alter ego of Holkins, the strip’s writer, and is a dead pan combination of wit, Dungeons & Dragons obsession and alcoholism. Penny Arcade has comically covered everything from Jack Thompson to World of Warcraft over the years. Finally, there is the Heavy. Team Fortress 2, brought to us by Valve in 2007, introduced the public to the lovable mercenaries and commandos of team RED and BLU. 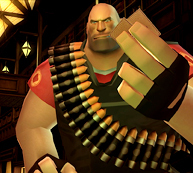 The poster child for Team Fortress 2 is undeniably the Heavy Weapons Guy, usually just known as the Heavy. What he lacks in depth of character and personality he makes up for with a funny accent and sheer destruction. Since the early days of Quake and Half-Life in the mid-90’s, the Team Fortress franchise has been a staple of computer gaming. As with many games available through Steam there are some unique unlockable items to be had for Team Fortress 2 and coupled with funny dialogue, quality voice acting and the reasonable price of five American dollars, a fan of any of these franchises is making a solid purchase. Don’t fold on this hand.